Christmas is coming and that means it’s time to go hog wild with shopping for gifts, right? Not if you’re on a budget! After all, the holidays are expensive enough as it is. Giving DIY gifts is a great way to show someone that you care without spending a lot of money. At least, that’s the idea. But often DIY gifts are things your friends or family don’t really need, love, or appreciate, which means it doesn’t really work so well as a way to show you care for them. That being said, I’m still a big fan of DIY gifts, as long as you come up with something they’ll actually like to receive. Here are some great DIY gift ideas to cover most anyone on your list. If you have someone in your family who loves to cook, or maybe someone who’s just getting ready to venture out on their own and they don’t own much kitchen gear yet, you can easily put together a kitchen themed gift for them. Simply buy a kitchen oven mitt and fill it with other small goodies, like kitchen utensils, spices, and other small items. You can dress it up by tying a bow around the middle of the glove, or by embellishing the mitt itself with ribbon or rick-rack if you have some simple sewing skills. Another good choice is to put together a recipe book. One of my good friends was always telling me that she wanted my recipes because I was a good cook. I was always vague about it when she asked because I knew I wanted to put together a cook book for her birthday. I bought a photo album at the store and filled it with 3×5 recipe cards with hand-written recipes on them. Because I planned ahead, I was able to write 2-3 recipes a day so I didn’t wear out my hand. But if you don’t have that luxury, you can always print them off of your computer too and stick them in the album. One of the best DIY gifts I’ve ever gotten was a handmade scarf. I wore the heck out of that thing until it started looking shabby. If you have a fashionista in your life, perhaps she’d like to receive a handmade winter scarf, a fashionable multi-stranded scarf, or a flowered belt. A lot of these gifts can be made out of things you probably already have in your home, like an old t-shirt that you cut to make the scarf, so your spending on these fashionable projects will be minimal. Tired moms love nothing more than a spa day, but if you can’t afford to send her to an actual spa, perhaps you can bring the spa to her with some DIY spa products. Things like homemade soaps, bath bombs, shower disks, sugar scrubs, and more take only a few special ingredients. The main portion of their concoctions are usually made from regular kitchen and household ingredients. Money always makes a good gift, but instead of just giving your loved one a gift card in an envelope, you could dress it up a bit. One idea is to buy a wallet and fill it with several gift cards from Amazon. You could just fill it with gift cards to lots of different places, or you could even go as far as to come up with a theme, such as restaurants close to their workplace. This would allow them to have lunch on you a few times in the coming year. Another way to give someone money but make it seem more thoughtful is to give them a roll of quarters that’s all dressed up. You could wrap it in decorative paper and tie the ends with ribbon so it looks more like a piece of candy, like a Tootsie Roll, than a roll of quarters. Imagine their surprise when they find out what it is. Speaking of surprises, you could fool your loved one into thinking you only got them a box of facial tissue when the box is really full of dollar bills. Have your video camera ready to capture their hilarious reaction when they discover that it’s not really just a box of tissues. Gift giving can be fun, but it doesn’t have to be expensive. By getting creative and using your DIY skills, you can give gifts that your friends and family will love. 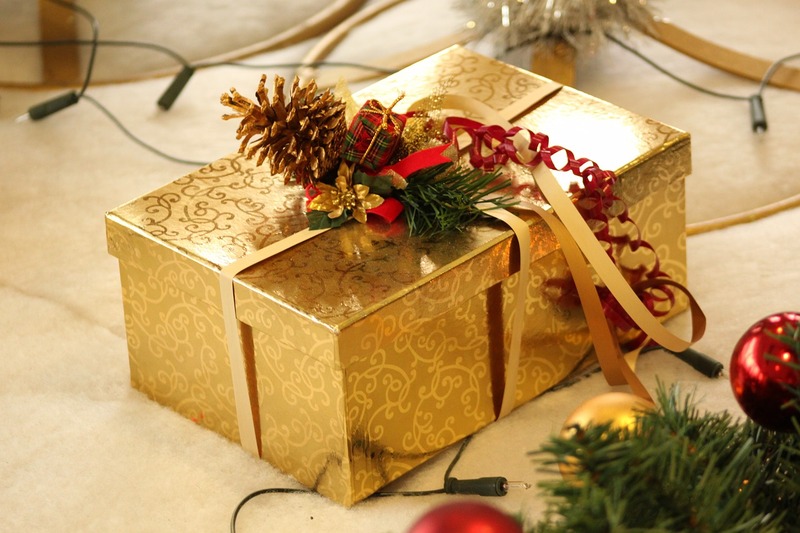 Do you ever give DIY gifts to save money? What are some other DIY gift ideas you’ve seen do well? What’s your go-to gift idea for the hard to shop for person? That’s great Jayson! I hope they like it. These are great ideas, and as a knitter, I know you have to start now if you are going to get gifts made by Christmas. But what I really want takes no money and would take no time to get together: A “coupon” for babysitting services, to be redeemed by the giver. If you want to DIY and you aren’t crafty, you can always give a service the recipient would appreciate. That’s a great idea! I gave a book of coupons to my dad for Father’s Day one year. They were for things like a car wash, mowing the lawn, etc. He loved it! Love the mom idea! My friend just became a mom and I’m looking for some gift ideas for her! I like DIY sugar scrubs. They’re easy and always appreciated. I do crochet scarves (helps keep my hands busy so I don’t snack as much), but they’re inevitably pretty funky. Stitch numbers somehow increase and decrease at random. So I just donate those to shelters. Those people won’t care how it looks, as long as it keeps them warm. And hey, at least the colors (if not the scarf itself) are pretty.